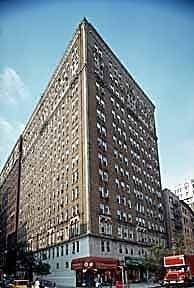 245 W 104 Street Housing Corp.
245 West 104th Street is located in Upper West Side of Manhattan. Please complete and sign Move In Request Form/Move Out Request Form. Please complete and sign Transferor's & Transferee's Affidavit; Computation of Transfer Fee-Flip Tax. Must be Notarized. Please upload Three Most Recent Pay Stubs. Please upload Latest Latest Two Years- pages 1 & 2 Federal Income Tax Returns. Must Include all schedules & pages, and be signed. Applications submitted after April 15th must include most recent tax return or a copy of your extension and the tax return for the previous year. Please redact all but the last 4 digits of the social security numbers. Please upload Latest Two Years W2 forms and/or 1099 forms. Please redact all but the last 4 digits of the social security numbers. Please upload Bank, Brokerage & Retirement Statement(s) for ALL Accounts (past two (2) months) including blank pages and copies of cleared checks. Please redact all but the last 3 digits of the account number. 26. Two of the following documents: state driver's license, passport photo page, alien registration card, employee picture I.D. plus social security card. Please upload Two of the following documents: state driver's license, passport photo page, alien registration card, employee picture I.D. plus social security card. Please complete and sign Move In/Move Out Request Form. Please upload Photo Copy of Two of the following documents: state driver's license, passport photo page, alien registration card, employee picture I.D. plus social security card.